The Accord Real Estate Group and its principals, Jeff Grandis and Anna Kader are the best residential brokers in Brooklyn. They sold our house for top dollar in a very short period of time by appointment only, thereby sparing us the inconvenience of open house visits. During the period of time that they marketed our house, we had to call them from time to time. They promptly returned our calls each time. Moreover, they were always polite, cordial and prompt in all their appointments. They were masters in securing the cooperation of the tenants when prospective buyers came for their appointments. Our sales contract required that the building be free of tenants. They – not we – exclusively dealt with the tenants to accomplish this goal. They did it quickly and to our satisfaction. We also needed legal advice on several matters and they recommended lawyers who provided advice and services which were essential to the successful sale of our house. 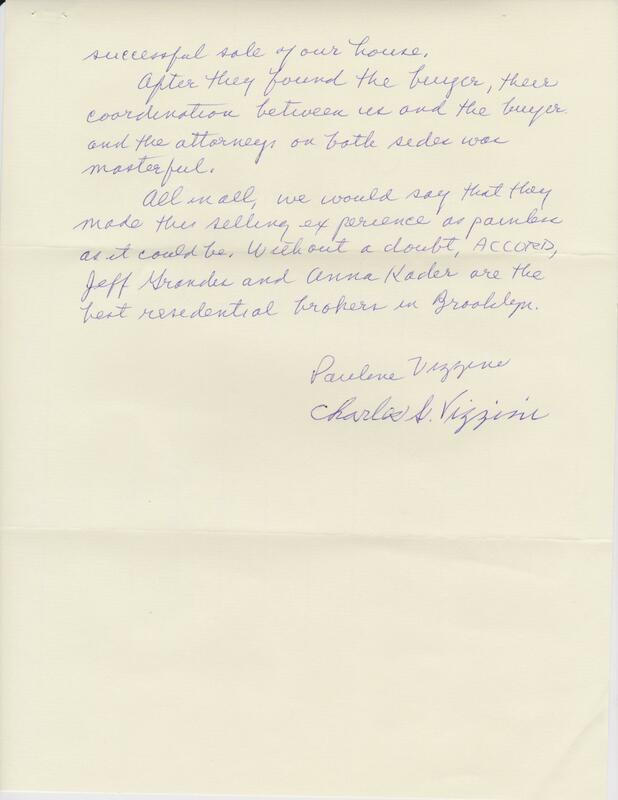 After they found the buyer, their coordination between us and the buyer and the attorneys on both sides were masterful. All in all, we would say that they made this selling experience as painless as it could be. 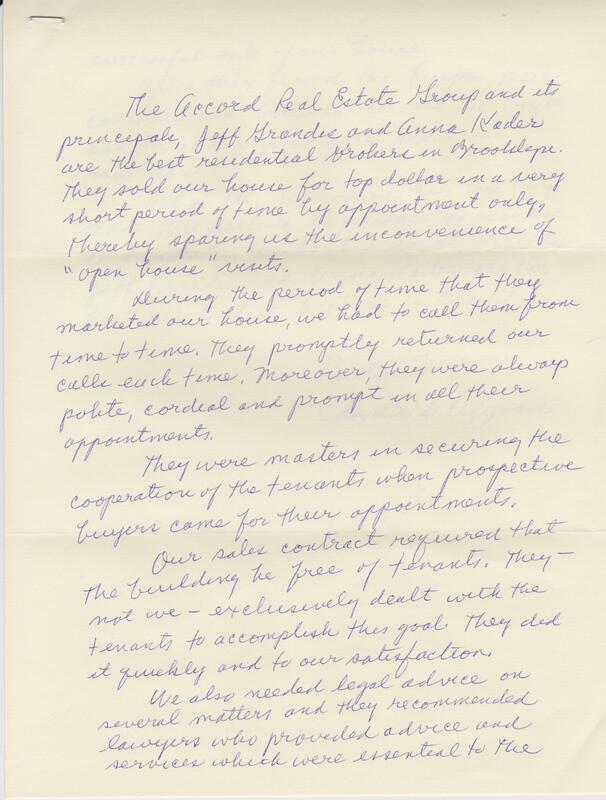 Without a doubt, Accord Real Estate Group, Jeff Grandis and Anna Kader are the best residential brokers in Brooklyn.